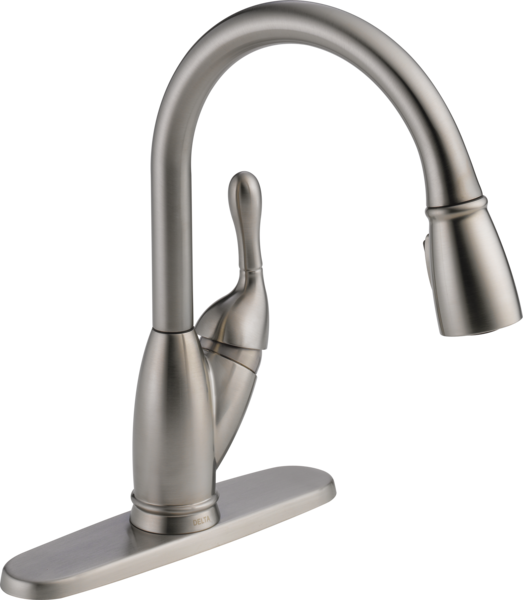 Enjoy cleaner, great tasting water fresh from your faucet with the Izak High-Flow Filtration Single-Handle Pull-Down Sprayer Kitchen Faucet in Stainless. The Delta® Under-Sink Water Filtration System filters impurities like chlorine, soil, sand and sediment without slowing the delivery of water. Drink and cook with cold, clean, filtered water straight from your tap. No need for unsightly tap covers or additional pitchers taking up space in the refrigerator. The pull-down spray wand comes free with a gentle tug and gives you total flexibility. The hose extends and retracts without friction points, fed by gravity. As you raise the wand to dock it, the magnet embedded in the spout pulls the wand precisely into place. 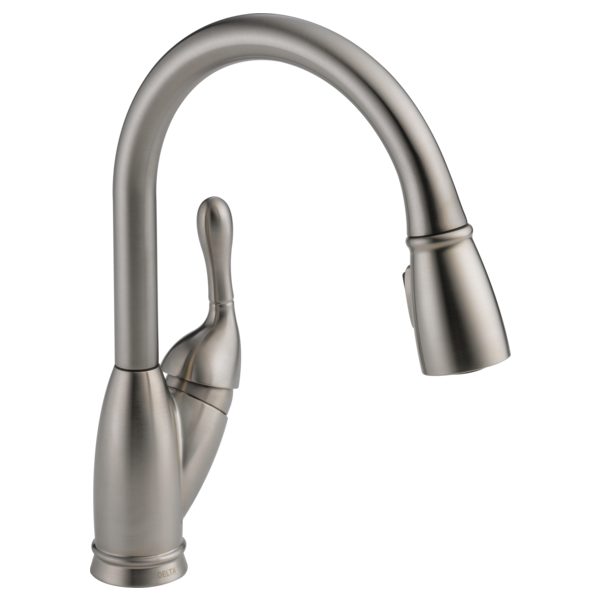 So, unlike other pull-downs that tend to droop over time, MagnaTite® keeps your pull-down faucet looking picture-perfect. InnoFlex® PEX waterways keep water inside the faucet out of contact with potential metal contaminants. This powerful combination brings you a faucet built to last up to five million uses. Only Delta faucets are equipped with Touch-Clean® soft, rubber nubbins that allow you to easily wipe away calcium and lime build-up with the touch of a finger. The included escutcheon completes the ensemble for a more finished look.